For five years, A. J. Higgins has edited the Sunday School paper, Light For Young Paths. He has done an excellent job and has completed papers well into the sixth year. The subscription cost for LFYP is $5.00 in U.S. funds. This is below the cost of printing and does not cover the mailing charges. LFYP has aimed at a medium age of between seven and twelve. LFYP is now publishing a Pre-School age paper, one sheet, printed on both sides with special appeal to young children. It has been sent free of charge for three months in half quantity to all who receive the regular subscription. After the trial period, it will be available for a year at $3.00 in U.S. Funds. Letters are being sent to subscribers explaining the Pre-School paper. Kamloops, In early June, the assembly really appreciated a week of ministry by Robert Surgenor. The conference in late June was well attended, a nice spirit prevailed and help was given by seven brethren. Thylorside, On June 2, the saints enjoyed a report by Sidney Emberly on the work in Mexico. Chatham, The assembly had the joy of receiving a young couple into fellowship recently. Deer Lake, Prayer is requested for gospel meetings which Alex Dryburgh and Lome Langfeld expect to start in August. Hamilton, The saints enjoyed visits in June from Gary Sharp and Andrew Kluge. Lake Shore, On July 7, Harold Paisley and Evan Moreau (Midland) commenced tent meetings. Langstaff, Last summer, Harold Paisley had encouraging tent meetings in this new area. He plans a further tent effort in August. London, Prayer is requested for tent meetings which Eric McCullough and Marvin Derksen expect to begin on August 4 on the Althouse College grounds. Manitoulin Island, Helped by local brethren, Alvin Cook began tent meetings in June at Providence Bay. Midland, A one day conference on June 15 was very encouraging with Harold Paisley, Peter Orasuk and local brethren helping. Nipissing Junction, There was nice blessing in salvation and restoration during four and a half weeks of excellent gospel meetings by Shad Kember Jr. and Brian Crawford. The June conference was large and many spoke of being helped and cheered. Nine of the Lord’s servants were present to minister the Word of God. For the twelfth consecutive year, tent meetings are being held this summer in Mattawa, with Ken Moore, Brian Crawford and Clarence Black sharing the meetings. Picton, Bruce Rodgers and Lorne Langfeld expected to commence tent meetings in July. Strongville, Gary Sharp planned a short series on children’s meetings in the morning and gospel at night, commencing July 7. Thunder Bay, Two teenagers professed during four weeks of encouraging gospel meetings by Peter Simms. In June, the saints enjoyed ministry by Fred Krauss and Timothy Kember, as well as weekend visits by Douglas Howard and Murray Pratt. Toronto, In early July, Wallace Buckle enjoyed a short visit to Pape, where he was baptized and received into fellowship years ago. The saints were refreshed by his visit and report of the work in Newfoundland and Labrador. Unionville, Murray McCandless and John Dennison had three weeks of well attended tent meetings in June with some blessing in salvation. Valens, Prayer is requested for tent meetings which Murray Pratt and Eugene Badgley expect to have in August. Montreal, Leslie Wells and Gerard Roy gave help at the one day conference on June 30, and also had five Bible readings on 1 Timothy. St. Donat, Leslie Wells and Yvon Poirier expected to commence gospel meetings on July 15. Green River, James Smith and Gerard Roy expected to commence a gospel effort on July 7. St. Leonard, On July 7, David Kember and Ken Taylor started gospel meetings. Sussex, Jonathan Procopio began tent meetings on July 7. Halifax, On July 7, N. Mellish and M. Cain commenced tent meetings. New Glasgow, Tent meetings by Noel Burden and Arnold Gratton began on July 7. Wileville, In this community near Bridgewater, Albert Hull and John Dennison started a gospel series in a tent on July 6. Abney, Peter Orasuk and Robert McIlwaine planned to start tent meetings in July. Enmore, David Oliver and Gene Higgins have had excellent attendance in tent meetings which began on July 1. The Rosebank, Springfield West and Freetown assemblies have joined in this effort. Buchans, There was an encouraging response to a week of open air meetings by Gordon Williams and George Whey. The brethren are planning similar meetings throughout central Newfoundland during the summer. Fogo, Gordon Williams and Bryan Joyce expected to start tent meetings in July. Main Point, The May conference was both large and profitable. There has been a good interest from the area in open air meetings. Mt. Pearl, Renovations continue on the building purchased for the work here. Bert Joyce and Marvin Derksen planned to begin tent meetings early in July. Shoultes, Jim Currie was in Shoultes on June 2 and in Arlington on June 4, 5 and 6, ministering the Word of God. Burwell, A group of Christians distributed Seed Sowers texts from June 27 to June 30. Omaha, Seven brethren gave much appreciated help at the recent conference. the Bible reading was excellent and the time was all too short. Jim Webb had a week of helpful ministry on 2 Timothy. Hinkley, Arthur Ward and William Skates had three weeks of gospel meetings in June. A number came out who had not come previously and the saints were encouraged. Minneapolis, On June 24 and 25, Joel Portman had well attended house meetings. Willmar, Joel Portman gave appreciated ministry from June 20 – 23. Garnavillo, The June conference was large and profitable with 14 of the Lord’s servants present to help. In late June, Ernest Moore visited here and a number of assemblies in the area. Hampton, Joel Portman had helpful ministry meetings in mid June. He and William Skates expected to start tent meetings on July 7. Robins, In this village just north of Marion, Eric McCullough and Allan Christopherson commenced tent meetings on July 7. Brodhead, Robert Orr and Richard Van Mill continue in the gospel with some blessing. Waukasha, Seed Sowers texts were distributed in this area from June 19 to 22. Arthur Ward hoped to pitch a tent here in early summer. Alpena, Larry Perkins and Stuart Thompson expected to begin meetings on July 14 in a tent pitched on the Perkins’ lawn. Prayer is requested for a lady across the street from the tent who has just been diagnosed with terminal cancer. Cass City, On June 30, William Lavery and Matthew Smith (Jackson) began gospel meetings in the hall and have been encouraged by the regular attendance of unsaved people. Jackson, The assembly looked forward to a visit by Ernie Moore on July 14 for a report on the Lord’s work in Chile and neighboring Argentina. Brother Moore expected to return to his field of service in late July. Saginaw, Prayer is valued for gospel meetings which Allan Christopherson and William Metcalf expect to start on August 4. Sherman, William Lavery and Stuart Thompson saw some interest in gospel meetings that closed on June 22. The assembly has been encouraged by the exercise of younger believers during the last two years. Bryn Mawr, The assembly received refreshment from the visit of Norman Crawford, Steve Kember and Oswald MacLeod who shared in the special ministry meeting and the gospel on June 16. Barrington, A young mother whose progress has encouraged the saints was baptized in early July. Longport, The believers enjoyed Oswald MacLeod’s visit and the help received from the Word. Pennsauken, On June 23, the assembly was encouraged by the baptism of a young sister. Terryville, The 85th anniversary meetings were held on June 23 with Gene Higgins, David Oliver and James Smith ministering the Word and sharing the gospel, giving their testimonies. It was a very enjoyable time with saints from the surrounding assemblies present The assembly was started on July 9,1911, the result of the labours of Dr. Cameron and Dr. Martin. Byfield, Gene Higgins completed a week of gospel meetings which began on June 16. Augusta, The conference was one of the largest and the subjects of the morning Bible readings, Genesis 2 and 3, created considerable interest. Prayer is requested for a gospel series which Gene Higgins and Bryan Joyce expect to start in August. Ballykeel, The annual conference was quite well attended and six ministering brethren took part. Coleraine, There was some blessing in salvation during a gospel series by J. Lennox and B. Currie. Conlig, Good numbers are attending gospel tent meetings by R. Eadie and D. Gilpin. Keady, J. Martin and A. Davidson continue in the gospel in Flanigan’s garage. Kilmore, There was blessing in salvation during nine weeks of gospel meetings by WJ. Nesbitt and his son Andrew. Lessans, J. Hutchinson and S. Thomson had two weeks of encouraging gospel meetings. Martray, The annual conference was held in a local school which was filled to capacity with extra seating required. The Bible reading was conducted by W.J. Nesbitt and profitable ministry was given by various brethren. Skeogh, S. Barr and T. Topley continue in the gospel in a portable hall. September 21 and 22 in Chapman Valley Gospel Hall, Hwy. 124 at Miller Rd. Prayer meeting on Friday at 7:30 p.m. Bible reading on Saturday at 8:45 a.m. on Spiritual Gifts (two sessions) and on Lord’s day on John 13:1-17. Breaking of Bread at 10. Supper will be served at 5:30 p.m. on Friday Corr. Herb West, 16 Lakeview Dr., Sundridge, ON, POA 1ZO, phone (705) 3845280 or Tom Hulcoop, 9 Edward St., Parry Sound, ON, P, (705) 746-5919. October 5 and 6 in Central Huron Secondary School, 165 Princess St. E., Clinton. First meeting on Saturday at 10:30 a.m. Breaking of Bread at 10. Two Bible readings on “Risen with Christ what Does it Mean?” (Col. 3). Prayer meeting in Gospel Hall, 143 Joseph Street on Friday at 7:30 p.m. Corr. Douglas McDonald, P.O. Box 329, Clinton, ON, NOM 1LO, phone (519) 565-2752 or (519) 482-7243. August 31 and September 1 with prayer meeting on Friday at 7:30 p.m. All meetings in Centennial Centre, Park Drive, phone (705) 789-6421. Bible readings both mornings at 8:45 on Col. 3 (Saturday) and Heb. 1 (Lord’s day). Breaking of Bread at 10. Corr. David Traves, 10A West Rd., Huntsville, ON, PlH 1K9, Ph. (705) 789-8420. October 12 and 13 in Louis J. Robichaud High School, Main Street, Shediac, with prayer meeting on Friday at 7:30 p.m. On Saturday, Bible reading at 10. Breaking of Bread at 10. Corr. Luc Bergeron, Box 4403, Robichaud, N.B., EOA 2SO, phone (506) 532-3826. Hall phone is (506) 532-2523. 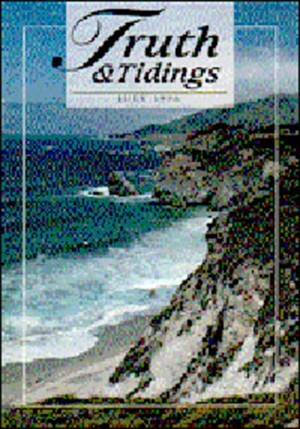 August 31, September 1 and 2 with ptayer meeting on Friday at 7 p.m. Bible studies each morning on Titus 1, 2 and 3 at 8:45 on Saturday and Monday, and at 11:15 on Lord’s day. Breaking of Bread at 9:30. Corr. (for Arlington) John A. Klein, 14318 67th Ave. NE, Arlington, WA 98223, phone (360) 435-7239, and (for Shoultes) Phillip Kazen, 4611 109th Place NE, Marysville, WA 98270, phone (360) 659-4611. Meetings will be held in the Arlington Gospel Hall, 323 S. Stillaguamish, Arlington, phone (360) 435-3797 and Shoultes Gospel Hall, 5202 116th Street NE, Marysville, phone (360) 658-9822. October 26 and 27 in Stark Road Gospel Hall, with prayer meeting on Friday at 7:30 p.m. On Saturday, Ministry at 10 and 2:30, with Gospel at 7. On Lord’s day, Breaking of Bread at 10, with Ministry at 2:30 and Gospel at 7. Corr. James K. Vallance, 47100 Maplebrook, Northville, MI 48167, phone (810) 349-4258. For accommodations, contact Jeff Joyce (313) 522-5423. Hall phone is (313) 425-4910. September 28 and 29 in Gospel Hall, 61 Prospect Street with prayer meeting on Friday at 7:45 p.m. Breaking of Bread at 10. Corr. Edgar Chambers, 550 Franklin Terrace, Wyckoff, N.J., 07481, phone (201) 652-4862. Hall phone is (201) 4470654. October 19 and 20 in Harry S. Fisher School, North Main Street, Terryville. Prayer meeting in the Gospel Hall, 36 North Main on Friday at 7:30 p.m. Corr. James C. Batterton, 388 Hard Hill Road S., Bethlehem, CT 06751, phone (203) 266-5397. September 21 and 22 in Hardwick Elementary School in Hardwick Village. First meeting on Saturday at 10 a.m. Breaking of Bread at 9:30. Prayer meeting on Friday at 7:30 p.m. in the Gospel Hall. Corr. William D. Scott, RR 1, Box 1145, East Hardwick, VT 058369705, phone (802) 472-6257. Chatham, Ontario, Breaking of Bread is now at 9:45 a.m.
Truro, N.S. (formerly Debert, N.S.) 51 Young Street, Truro. During the transition period, visitors should phone Robert Swan (902) 893-1486 or Ian Bingham (902) 893-2369. Jack Wylie of Glengormley, N. Ireland on March 9. Our beloved brother was saved in 1933 at age 9. Sometime later he was baptized and received into the Ebenezer assembly in Belfast. Later he was in fellowship in Victoria Hall and then for many years in Glengormley. Jack was a kind and thoughtful brother who moved with dignity among the saints and was much respected as an elder. The large funeral conducted by T. Meekin and 1. Gordon was a token of the high esteem in which he was held. Jack is survived by his wife Maisie and daughter Ruth who would valued prayer. Isabella Taylor of Taylorside, SK on May 9, age 84. Our dear sister accepted Christ as her personal Saviour at an early age. She was associated with the Christians who gather in the Lord’s name at Thylorside until her homecall. She was predeceased by her husband, Archie, in 1964. Their family of two sons and two daughters and their spouses are all in assembly fellowship. Mrs. Taylor was a faithful and consistent sister who loved the gospel and the assembly. Garry Seale, her son-in-law, spoke comforting words at the funeral and Arthur Taylor at the graveside. Dr. Aniceto Cameiro of Fort Pierce, FL on May 9, age 83. Our beloved brother was saved in October, 1975. Born in Brazil, he practiced medicine in Steubenville, OH where he was saved and received into assembly fellowship. He characteristically loved to talk about the Scriptures and to witness to those he met. After retirement, he and his wife moved to Florida in 1989 and have been in the Fort Pierce assembly. Friends and relatives heard the gospel at his funeral in Steubenville. Please pray for his son and daughter-in-law who are interested in salvation. George Hostynek, of Forest Grove, Oregon on May 17, age 84. Our dear brother was saved in March, 1938 while attending gospel meetings by D.R. Scott and Hector Alves. He was baptized and received into the fellowship of the Forest Grove assembly the following June. He was married to Mary Williams in February, 1946, and leaves two sons and a daughter, all in Christ. Brother Hostynek was a quiet, consistent brother, very faithful to the assembly and firm in his standing for the truth. The gospel was faithfully preached at his funeral by Gaius Goff. Margaret (Peggy) Humphries of Matoaca, VA on May 25, age 62. Our beloved sister was remarkably saved on July 10, 1992, after the discovery of a brain tumour. Mercifully awakened, she trusted Christ before the surgery. Doctors held little hope of her survival, but she lived nearly four years to prove the reality of her faith, witnessing to visitors and medical attendants. She was received into the assembly although very weak physically. Please pray for the gospel spoken at her funeral to friends and loved ones for whose salvation she so greatly longed. Harold Oake of Fogo, Newfoundland on May 31, age 85. Our dear brother was saved in 1971 during the early days of the Fogo work. Together with his wife, he continued in active assembly fellowship until health problems hindered attendance. His wife went home to heaven five years ago. The funeral was shared by Marvin Derksen and Gordon Williams. Prayer is valued for many family members out of Christ. Lloyd Bryant of Gore Bay, Ontario on June 1. age 85. Our dear brother was saved late in life while a resident of the nursing home. He was baptized and received into the Gore Bay assembly. He met and married Lily Brydges and they enjoyed six happy years together. Pray for his widow who is over 90 and is feeling the separation keenly. A private funeral with about 50 relatives, many unsaved, was conducted by Stephen Fletcher. Mrs. Velma Arey of Niagara Falls, Ontario on June 22, age 79. Our dear sister was saved as a girl and came into fellowship in the local assembly in 1943. She was faithful to all the meetings and will be missed. The gospel was faithfully preached at her funeral by Timothy Walker. Jack A. Oakes of Toronto, Ontario on June 26, age 83. Our dear brother was born in Crapaud, P.E.I. and trusted Christ at age 21 on November 26,1934, following gospel meetings by Albert Joyce, Herb Harris and Russell Harris. In 1938, Jack moved to Sault Ste. Marie, ON and was in fellowship there for ten years before moving to Toronto. He married Evelyn McAuslan in 1949 and they were in happy fellowship in Eglinton until his homecall. Jack was a hearty Christian who was very active in tract distribution and open air meetings. The large funeral was shared by L. Roberts and H. Paisley. If there are specific instructions in the will, the trustees follow these instructions implicitly.